Planning a visit to Canada but confused where to start? Relax and take your next few minutes to go through this guide that gives you a comprehensive insight to first-time travellers to Canada. Firstly, let me formally introduce you to this remarkable nation. Canada known as the ‘Great White North’ is the second largest country in the world sharing its borders with USA and stretching all the way into the Arctic Circle. The country has an expansive stretch of coastline – the largest in the world bordering the Arctic, Atlantic and the Pacific Ocean. Blessed with a varied topography, this country is a wondrous destination filled with astonishing experiences that appeal to family, groups, couples and single travellers. The natural beauty is beyond comparison. Canada consists of more lakes than rest of the world’s lakes combined. Canada is also home to a large population of polar bears, orcas, caribous and many rare species of animals and has 10% of the world’s total forest cover. It is one of the world’s most educated and culturally diverse countries. Even though it is huge in terms of land mass, Canada is home to only one percent of the world’s population. Amid all these incredible settings, Canada is home to some of the dynamic cities, quaint countryside villages and towns along with indigenous settlements. The world’s northernmost settlement can be found in Canada at Alert, Nunavut. Culture wise, Canada is rich with a harmonious blend of multi-ethnic settlements, right from Inuit tribes in Arctic to Francophone communities. Here is a short fact file about Canada. Languages: English and French are predominantly spoken along with other indigenous languages. Time Zone: Canada comprises of six time zones – Pacific Standard Time, Mountain Time Zone, Central Time Zone, Eastern Time Zone, Atlantic Time Zone, Newfoundland Time Zone. Most of Canada operates on standard time from the first Sunday in November to the second Sunday in March and daylight saving time in the rest of the year. Electricity: 120 volts AC, 60Hz, North American style flat two pin with or without round grounding pin is the standard type of plugs. Modes of Transport in Canada: Canada is accessible by all modes of travel. One can arrive into Canada by air or by car in the case of crossing border from the USA. Getting around Canada is very easy as there is an extensive network of roadways, railways, waterways, and airports and hence cities and townships can be reached via car, train, ferry rides, and domestic flights. Sheathed in striking earthy tones of emerald blue lakes, majestic rugged mountains of white snow-capped mountains, brown and green forests, rolling prairie fields, icy blue glaciers and beige sandy beaches, Canada is impressively contrasted yet complement in regards to its breathtaking natural vistas. The Niagara Falls is undoubtedly one of the sights to be visited while in Canada. The impressive Canadian Rockies stretching from British Columbia till Alberta is one of the most picturesque landscapes in the world. The Canadian islands with its amazing beach stretches and an outstanding collection of nature trails are other must visit attractions. The far northern areas, some which stretch into the Arctic Circle offers a surreal world of icy terrains and glaciers to witness. Massive section of Canada’s area comes under forest cover; in fact, the country has national parks that are bigger in area than some countries. 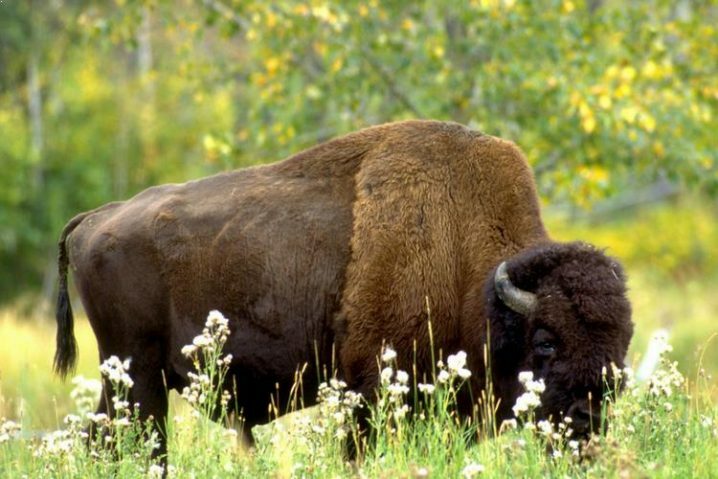 Wood Buffalo National Park in Alberta and the Northwest Territories total area is larger than Denmark and Switzerland. Scattered all over the country, Canada is home to 41 national parks and three marine conservation areas which have an extensive range of dense wilderness and exotic wildlife such as grizzly bear, polar bears, beavers, mountain lions, Canada Lynx, big horn sheep, and caribou. Canada is also one of the rare sites where visitors can spot dolphins, orcas, whales, belugas, seals, and otters. Canada has a multi-ethnic culture; anywhere you go, you will get a glimpse of old world charm of European and native Canadian cultures seamlessly merged with modern day lifestyle. The essence of such a heady mix of rich culture and hundreds of years of history can be seen in the lifestyle, art scene, literature, architecture, entertainment, and cuisine. 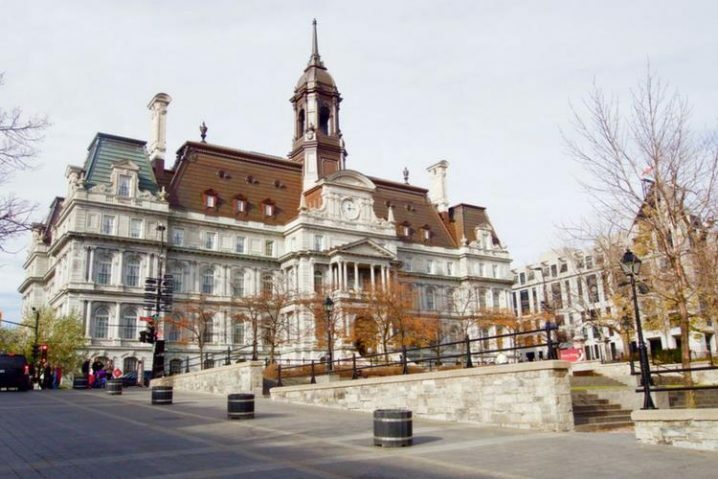 European influence mainly British and French can be seen in Montreal which is home to several stunning churches thus referred as The City of Saints or City of a Hundred Bell Towers. A stroll around Montréal’s old city town paved in cobblestone streets showcases the cultural infusion of European settlements and Canadian way of life. The early inhabitants of Canada have let their everlasting impressions on the land of Canada. 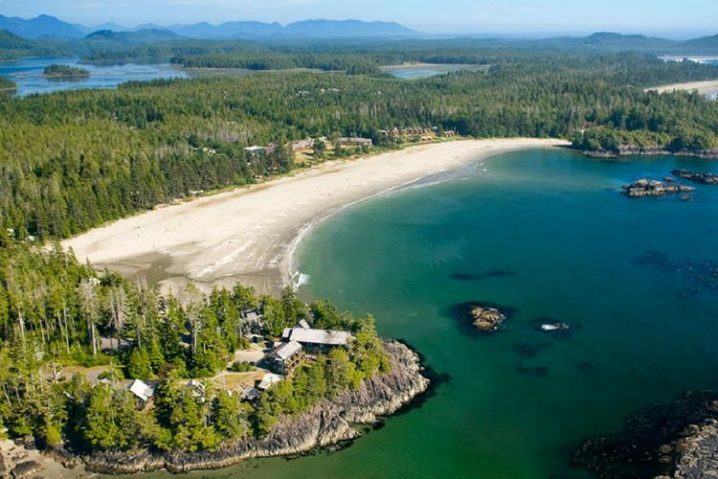 SGang gwaay at Gwaii Hanaas islands still preserves the essence of Haida community in its forests and is home to the remains of 10 original 19th-century Haida houses and 32 carved mortuary totem poles. The Old Town of Lunenburg in Nova Scotia maintains its unique architectural structures and buildings that are reminiscent of First British Settlements in Canada. The descendants of Canada’s First Nation tribes and Aboriginal tribes preserve their cultural significance and their surviving inhabitance can be found in faraway lands in Canada. The Inuit settlements can be found at Nunavut which lies in the northern most sector of Canada. Canada is all about open spaces, massive dynamic terrains, exceptional climate, fresh air and clear deep waters – all of which are perfect for outdoor adventure sports. Whatever your preference of thrill is, Canada has adventures that suit all ages and all types of travelers. For nature lovers, there’s hiking, biking, and trekking along the numerous nature trails through verdant forests such as Cape Breton National Parks, Great Divide Trail, Confederation Trail to name a few. A stroll or overnight camping through the lush wilderness let you encounter the exotic wildlife of Canada. Winters in Canada are not meant to retire indoors and keep you warm. Mountain slopes covered in blankets of powdery fresh snow are the perfect spots to try your skills in winter skiing and snowboarding. The numerous lakes of Canada are ideal for a serene canoeing and kayaking experience amid astounding scenic vistas of mountains and valleys. There are plenty of water activities too like white-water rafting, scuba diving, and surfing – The list for adrenaline rushing adventures in Canada is endless. It’s not just the topography or culture that is so contrasting and diverse, Canadian food scene is just as assorted as the rest of Canada’s features. It widely varies as per its cultural influence and is overlaid with elements from different cuisines but the result is a burst of flavors and aromas. 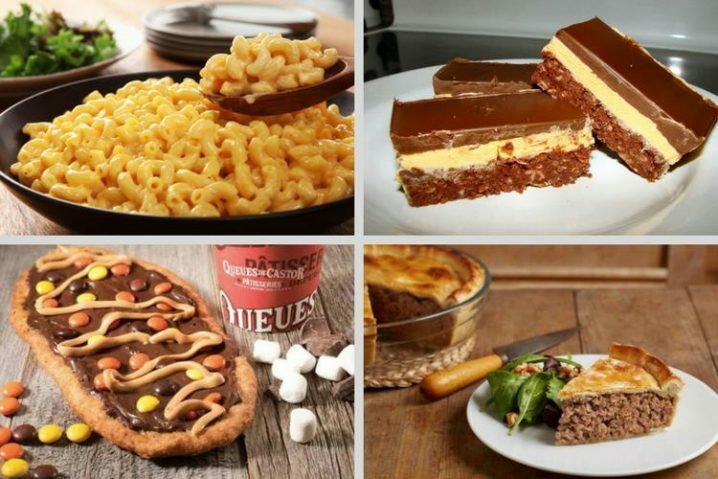 Some lip-smacking foods to try out on a visit to Canada are Mac and Cheese and doughnuts – a favorite among Canadians and consumed more than any other country in the world. Poutine is a bizarre yet yummy fusion of French fries, cheese curds, and savory gravy garnished with toppings. Canadians love Maple syrup and can pair maple syrup with almost any dish. Other delectable delicacies to delve into are Beaver Tails, Nanaimo Bars, and Tourtière. Canada is teeming with mind blowing experience, some of which you may seldom get to enjoy anywhere else in the world. 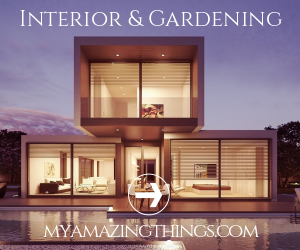 In fact, there are so many extraordinary experiences, a plethora of fairs, festivals and events and some amazing selection of attractions that you can enjoy within one destination than anywhere else. One of the finest ways to travel Canada is through a relaxing scenic Rail journey that takes you through some of the incredible and ever changing nature panoramas of Canada. Some famous Rail Journeys are Toronto – Vancouver Rail Route and Canadian Rockies routes. Canada is a place where you can enjoy some outlandish experiences. The natural phenomenon of Northern lights can be viewed in best surrounding in Canada, especially at Nunavut, Yukon and Northwest Territories. Canada is always buzzing with activity year around and has some of the world’s amazing and extraordinary fairs and events. The Ottawa Tulip festival is considered to be the largest Tulip exhibition in the world. 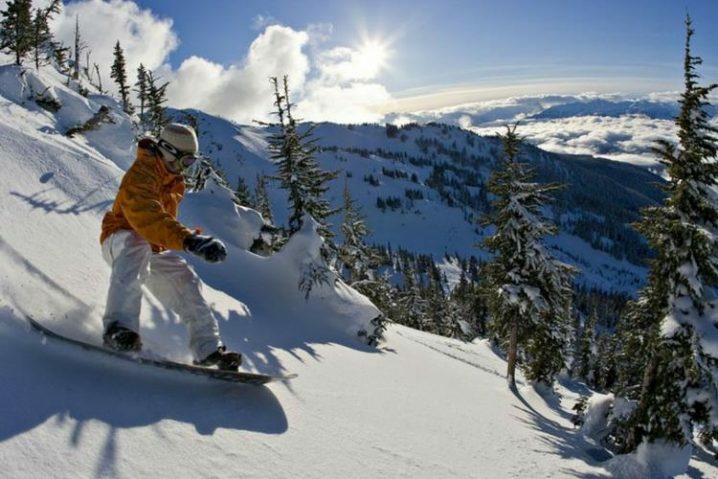 Join in some Japanese celebration at cherry blossom festival at Vancouver; experience the fusion of music and world class skiing at Snow bombing music festival at Sun peaks in British Columbia. You can walk and hike on massive stretches of icy frigid glacier stretches, play hockey on frozen Atlantic Ocean, build your own igloo and stay overnight in a hotel entirely made out of ice. – Niagara Falls, Ontario – The most scenic panoramas of world renowned Niagara Falls is in Canada and its mighty Cascades and Horseshoe Falls is one of the Canadian tourist attractions that have many travellers besotted under its charms. There are many ways you can experience this wondrous falls – You can take a Heli tour over the falls or have an up close experience with Hornblower Niagara Cruises. Extend your experience with leisure, fun, and recreation at Botanical gardens, Niagara Skywheel, Hersheys Chocolate World, WildPlay Niagara’s Zipline and much more. Don’t forget to take a detour to visit the picturesque vineyards at Niagara on the lakes. – Major cities of Vancouver, Montreal, Quebec and Toronto – Experience Canada’s urban exuberance with a dash of early European vestige at Vancouver, Montreal, Quebec, and Toronto. These suave contemporary cities reflect a remarkable collection of modern day living with amazing attractions and happening events but also cherish its long gone historic era which are preserved in its surrounding structures, buildings, and alley, and fused into cuisines and culture. A Trip to these wondrous cities offers you a spectacular experience of two contrasting worlds of rustic charms of British and French settlements with present day Canadian way of living. – Banff, Lake Louise, and Jasper – A spectacular combination of nature’s finest elements with beauty beyond words, Banff, Lake Louise and Jasper lie on the western side of Canada and are part of the infamous Canadian Rockies. One of the most picturesque destinations in Canada, Banff, Lake Louise and Jasper all have picture post card settings of dramatic alpine peaks, rugged mountains, crystal blue lakes and lush valleys of verdant wilderness. A Canadian Rail journey through these regions is the best way to capture the astounding scenic panoramas. Whether you are a nature lover, an outdoorsy person, an adventure lover or someone looking for tranquility and relaxing holiday, Banff, Jasper and Lake Louise has something in store for any type of travelers. Some must do activities at these regions include taking the Banff Gondola ride at Banff National Park, hiking on nature trails and canoeing on Lake Louise, Moraine Lake, and Lake Minnewanka. Take a refreshing soak at Upper Hot Springs, explore the Ice fields Parkway and Athabasca glaciers, dare to walk on the Glacier Skywalk and go exploring and wild life spotting at Banff National Park. – Yukon and Nunavut – A drastically contrasting landscape as compared to rest of Canada, Yukon, and Nunavut lies in Canada’s far north and is home to indigenous inhabitants and exotic wildlife of Canada. Yukon and Nunavut offer you an off beaten destination to explore with some of the most surreal experiences of your life. Yukon and Nunavut have a scarce population, very less light pollution and darker skies which make them an ideal spot to witness the gleaming phenomenon of aurora borealis or the Northern Lights. The region is steeped in gorgeous natural sceneries, rare wildlife, and first nation culture. Canada offers its visitors a myriad of accommodation options to choose from. For budget travelers, there are hotels and motels that usually have two double beds with rollaway cots at an extra charge and basic amenities for a comfortable stay. Another Canada stay options are bed and breakfast, vacation rental homes, cottages and lodge cabins that are set in beautiful settings and provide ample space for comfortable stays with functional kitchenette, spacious rooms, and facilities such as parking and backyard barbeque etc. For a luxurious stay, Canada is brimming with opulent hotels, resorts, and spas of world class hotel chains that are located strategically amid spellbinding vistas and comes with impeccable services and amazing dining options for an indulgent holiday. For avid nature lovers and adventure thrill seekers, Canada offers abundant campsites for overnight camping in incredible locations all around Canada’s national parks and reserves. A low budget stay option such as a dorm or Campsite tents will cost around 30 to 40 Canadian Dollars, Mid-ranged accommodations such as Bed & Breakfast or 3-star hotels, prices may start from 80 Canadian Dollars, lavish accommodations in luxurious hotels and resorts will cost about 250 Canadian Dollars. Before you start your Canada holiday, it’s best to know some vital details that will help you in having a smooth trip. Here’s a list of things you need to know before you set off for your Canadian journey. – Every visitor to Canada should have valid documentation in possession – a valid passport and valid Canada visa are mandatory along with other documents required for immigration clearance. It is highly recommended to have an adequate travel and medical insurance for the entire length of stay in Canada so that any emergency, hospitalization, and treatments can take care without many hassles. Medical covers for non-Canadians are very expensive. – In the case of Self-drive tours or car rentals, driver’s license and an International Driving Permit is compulsory and should be either in English or French. – Climate usually varies from destination to destination within Canada. Mostly, peak season is during July and August when there is a lot of sunshine and warm conditions throughout the nation. October to May is the ideal time to view fall foliage in Canada. For those interested in winter activities should plan around November to March which is usually peak seasons for ski resort towns. – Since the climate in Canada can be unpredictable, it is wise to dress up in layered clothing that can be easily taken off in case a cold day turns into a warm sunny day. Do not skip using sunscreen even if it is wintry conditions. Carry lightweight raincoats, umbrellas and rain gear even during summers. While hiking, follow instructions, dress in comfortable clothing and good hiking shoes and carry all essentials including a first aid kit and bug spray. – Tipping is usually practiced but not anticipated or mandatory. It is an etiquette everyone follows. A general tip would be around 15% at restaurants, 1 -2 Canadian dollars to hotel staff, 10 to 15% to Taxis. – Canada is one of the safest countries in the world with very low theft and crime rate. However, your safety is in your hands and hence it is necessary to practice certain precautions. Always keep your valuables and documents safe. Driving any kind of vehicle, even snowmobiles while drunk is a serious offense and lawfully punishable in Canada. Canada has a lot of biking trails for cyclists and bikers. Road rules that apply to other vehicles are applicable for bikers and cyclists. Helmets are compulsory for all cyclists and bikers in British Columbia, New Brunswick, Prince Edward Island and Nova Scotia, as well as for anyone under 18 in Alberta and Ontario. – In the case of any threat or crisis, emergency Numbers in Canada is 911. This number does not apply to Yukon, Northwest Territories or Nunavut.